The appreciating prices of European Capris hasn't rubbed off on GM's equivalent car, the Opel Manta. Opel GTs are nice and cheap too, but I like the Manta's styling better and its as close as I'd like to come to owning an F-body. It has a few issues, but none of them seem too difficult. 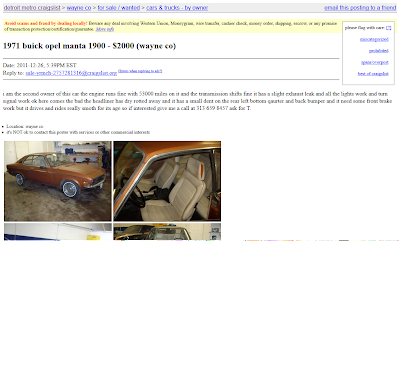 If there aren't any hidden defects and the car looks good in person this could be a good buy. 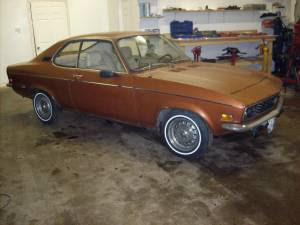 I also like the very 1970's brown paint. You know that he's worth buying from if he's got a Spirit AMX in the background!